An uncompleted building in Dutse Alhaji, an Abuja suburb, collapsed today killing three people and injuring nine others. According to the News Agency of Nigeria (NAN), the National Emergency Management Agency’s (NEMA) head of Public Relations, Mr. Yushau Shuaib, confirmed the incident and adding that five injured people have been taken to the hospital for medical attention. Although two people were earlier reported to have been confirmed dead, a third body has been recovered by rescue operatives at the scene of the collapse. An eye-witness, Mr. Omu-West Babatunde said the unfortunate incident happened around 3:30am. He said although work on the building had been suspended for quite a while, it had been occupied by illegal occupants who use it as a temporary shelter for quite some time. Mr. Ahmed Tijani, a resident of the area, said that before the accident, the building accommodated more than 50 artisans, motor cyclists, water vendors, and refuse disposal boys popularly called ‘mai boula’. He revealed that most of the occupants made a narrow escape out of the building before its final collapse. The injured residents have been taken to the hospital for appropriate medical attention with some of them said to be in critical conditions. The chairman of the Bwari Area Council, Mr. Peter Yohanna, revealed that about N200,000 has been set-aside to take care of the medical bill of those wounded. 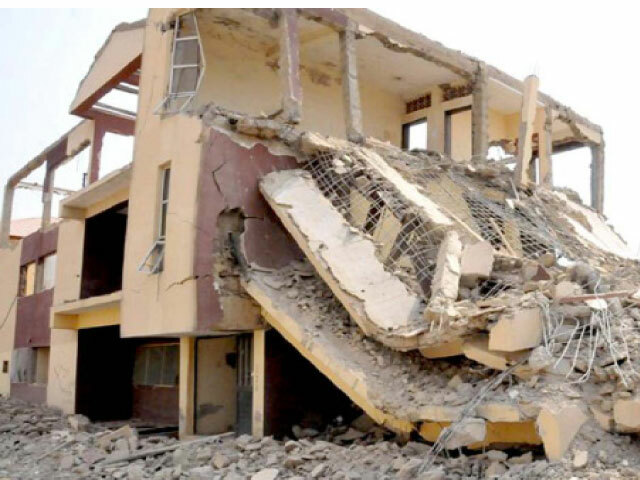 He confirmed that the building, which is located on Ademola Awosika Road, had been long abandoned after failing the integrity test conducted by relevant agencies. Chief superintendent officer, Nigerian Security and Civil Defence Corps (NSCDC) in the Bwari Area Council, Mr. John Efere confirmed the fears of many saying rescue operatives have reasons to believe that many occupants of the building are still trapped under the rubble.